Rock a groovy vibe with glowing love hearts that glow for up to eight hours! 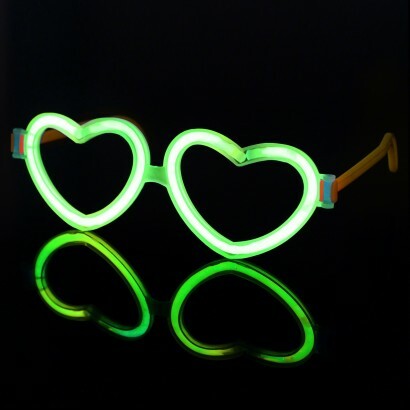 Glowstick heart eye glasses come in mixed colour packs of pink, yellow, green and blue to bring a little love to your party or event. Each pair is individually foil wrapped and each pack contains two eight inch glowsticks, a loveheart frame and two arms. 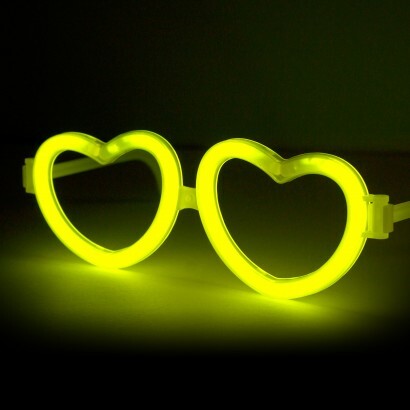 Easy to assemble, these funky glow glasses will spread the love with their funky, colourful glow!